Forward who began his second stint with Colo-Colo in 2014 after spending the past year with Atlante and Queretaro. He became a member of the Chilean national team in 2006. He debuted professionally for Santiago Morning in 2000. He scored 49 goals in 89 appearances for Colo-Colo from 2009 to 2012. He was born in Santiago, Chile. 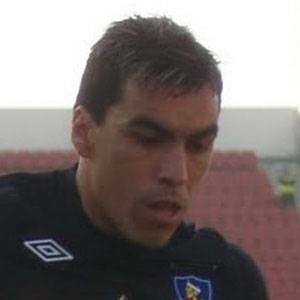 He and Alexis Sanchez both joined the Chilean national team in 2006.